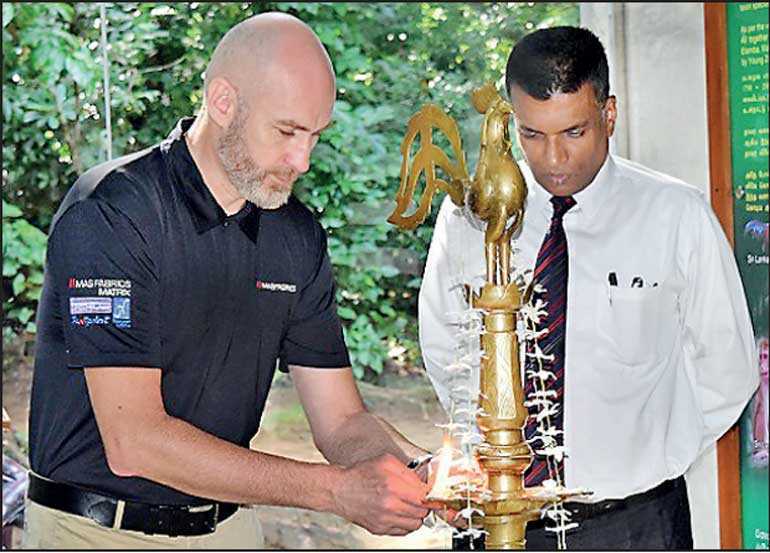 MAS Fabrics, the globally lauded end-to-end supply chain operation of MAS Holdings, ceremoniously opened the refurbished Badagamuwa Environmental Information Centre to the public as means to create more awareness on the unique biodiversity of the Badagamuwa Conservation Forest located in Kurunegala. This project was carried out in partnership with the Forest Conservation Department. The ceremony was held under the patronage of Forest Conservator General Anura Sathurusinghe and MAS Fabrics Matrix CEO Ivan Brown. The Centre, considered a vital resource for school children to expand their knowledge on natural forest habitat and best practices in conservation, now offers an engaging educational program curated by MAS Fabrics along with the provision of all required display material, furniture, hand-outs together with water, electricity and sanitary facilities. The University of Peradeniya too, extended their support to the cause by conducting a comprehensive biodiversity survey and providing herbarium sheets of preserved plant specimens to the list of available resources at the Information Centre.